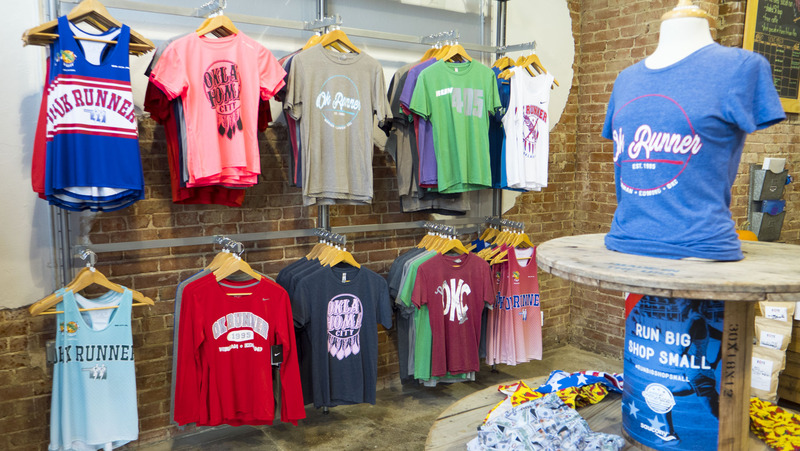 For part two of my local shopping gift guide series, I’m highlighting Oklahoma City’s Automobile Alley. From each business, I captured a photo to showcase a sample of what they offer, and at the same time, inspire some gift ideas. I’ve also included Black Friday, Small Business Saturday, and Cyber Monday deals. Be sure to check back on this article this weekend for any updates on the deals as there may be additions/changes. All of the shops on Automobile Alley will have a limited quantity of the OKC Streetcar “Love the Loops” Chocolate Bars to give away beginning on Small Biz Saturday. See if your bar will have one of the winning ride tickets! Winners will be the first to ride the Street Car in December. Limited to one bar per customer. Know someone who is looking to dive into a new hobby or already a sucba driver? 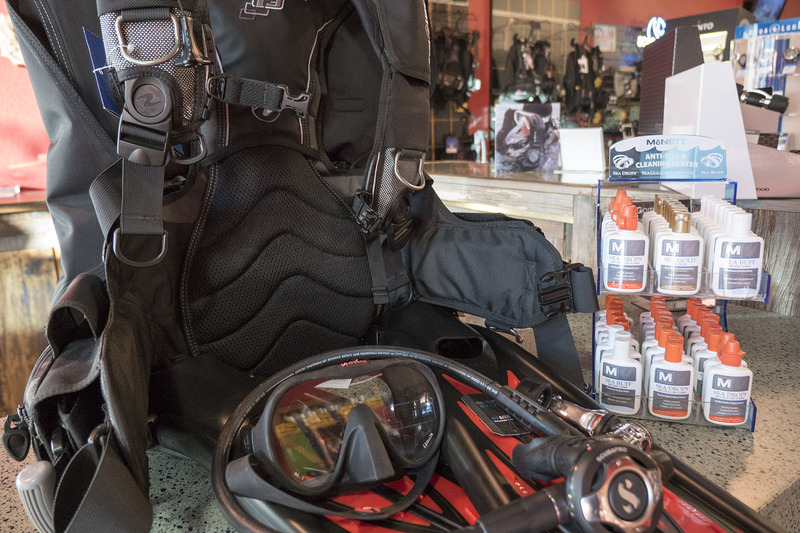 Bluewater Divers has gear for all skill sets and all types of underwater explorers. PADI Scuba Classes are offered year round from beginners to instructors and everything in-between. Friday & Saturday: Lots of sales, at least 20% off storewide. Plus, enter to win a prize package. 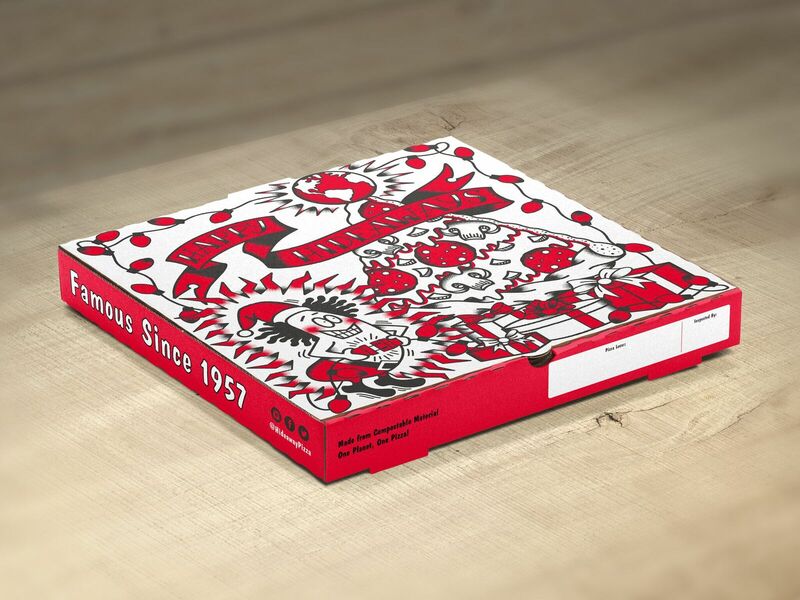 Since Hideaway Pizza has a location in Automobile Alley, I’m working in some news here about the return of the seasonal Prime Rib Pizza and the unveiling of the second annual holiday pizza box, designed this year by Oklahoma artist Ashley Dawn. For the first time, Hideaway will be offering holiday versions of their popular reusable plastic cups that match the custom box art as well! 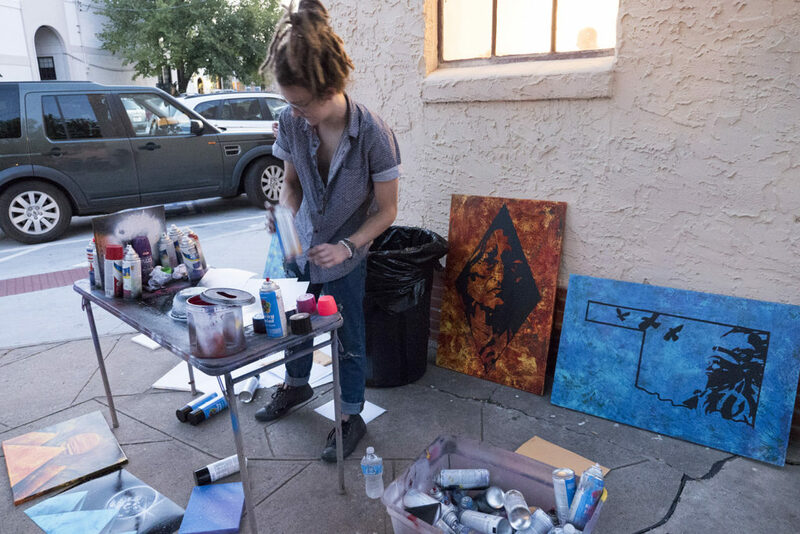 The Hideaway Holiday Box is the second in a series of exclusive, limited-time-only pizza boxes intended to provide an annual creative platform for local artists. Designed by Oklahoma City tattoo artist and illustrator Ashley Dawn, the 2018 “Happy Hideaways” box depicts company mascot Kahuna getting a bit of a shock on his Christmas vacation as he plugs in the lights around his globe-topped, pizza slice tree. What started as a way for owners Jessi and Kelli to make something together, OKcollective offers hand poured small batch all natural soy candles that a clean and fragrant. 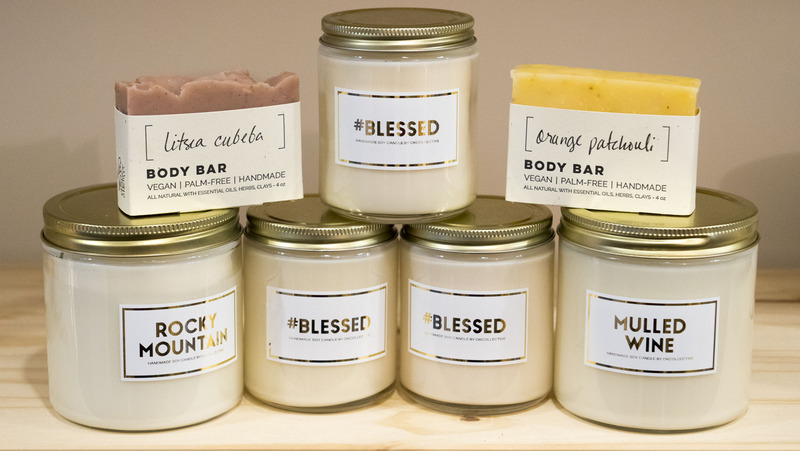 While their candles can be fround in retailers across the state, you can stop by their home lcoation at the pink shipping container in Automobile Alley. Small Business Saturday: 20% off store wide. The purpose of Plenty Mercantile “is to provide life and style products that convey a strong sense of origin, process, and authenticity.” Everything there will in some way to improve the quality of your life or as I’ve featured in the photo above, your pets. The Santa hat cat bed is adorable. Black Friday: Gift Basket Give Away every hour with purchased. Saturday & Sunday: Grab a punch card at Urban, ShopGood, or Plenty. Visit all three stores to be entered into a collaborative giveaway. First Place is $100 gift cards to each store, $50 for second place, and $25 for third. S&B Burger Joint serves fresh, gourmet burgers and sliders, and so much more. Black Friday & Small Business Saturday: The S&B Burger Joint at Automobile Alley has a fun special as well. For every $25 gift card purchase, get an extra $5 gift card free and a free S&B’s COOP Ale Works pint glass. Sara Kate Studios believes in the mantra of only surrounding yourself with the things and people you love. I would say many of the items there have a minimalist aesthetic. 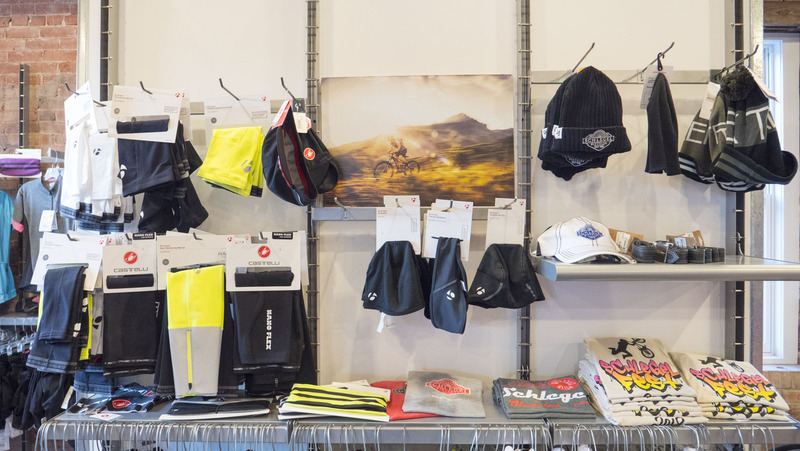 Whiles bikes do make for great gifts, accesories likes gloves, hats, and warmers are wonderful stocking stuffers. Good vibes only at Shop Good. 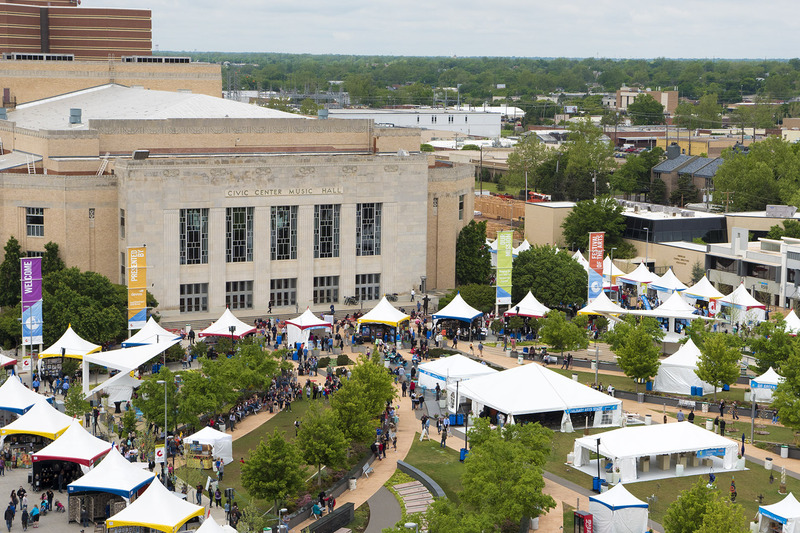 No matter what you buy at Shop Good, a portion of your sale supports a deserving effort to strengthen communities and meet real needs both here in Oklahoma City and around the world. 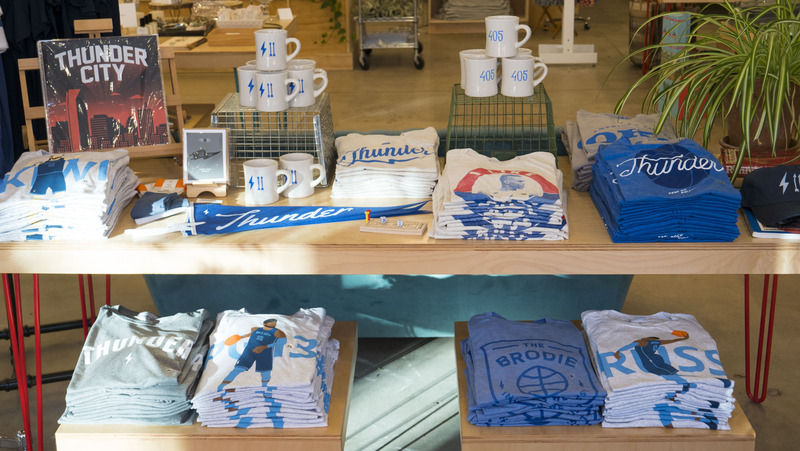 This year, I’ve highlighted some of their Thunder themed apparel and gifts. 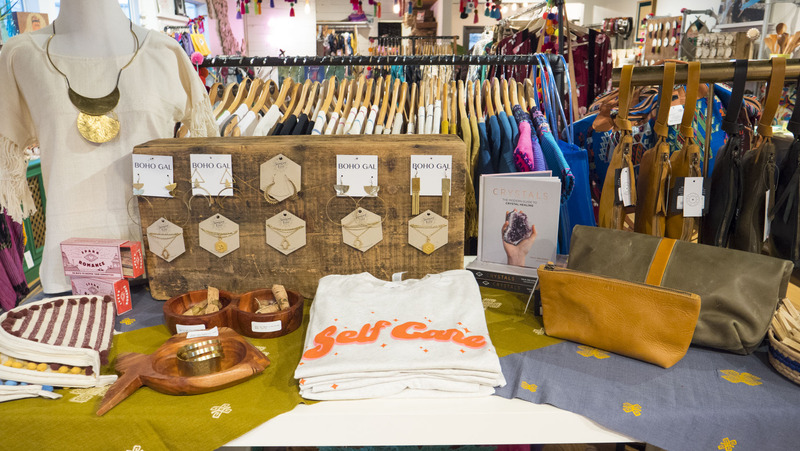 Instead of being Oklahoma made, many of the items at Siempre Viva are made from indigenous artisans in Southern Mexico as they aim to give sustainable employment. Black Friday: We’re opening early at 10 am with doorbuster savings! Small Business Saturday: FREE gift bags w/ $25+ purchase (Up to a $75 value) to the first 20 shoppers! These are stuffed with goodies from our shop + artisans across Mexico! -Enjoy Spiked Hot Cider as you shop! 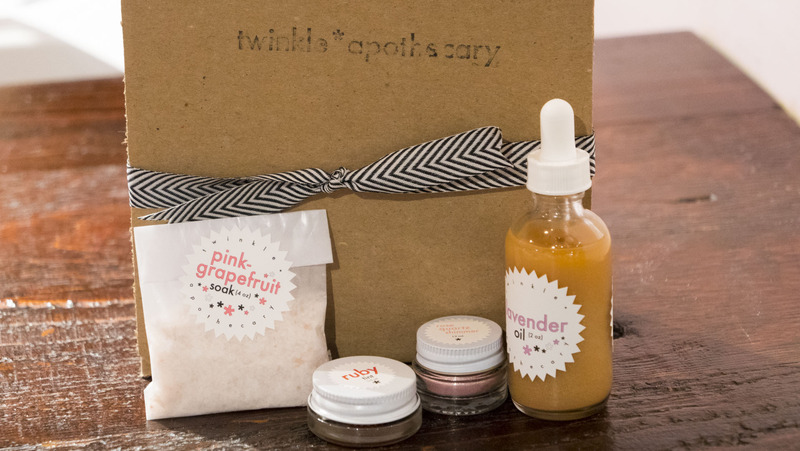 Sharing the same building as Siempre Viva, Twinkle Apothecary makes super eco-friendly body and hair care items. 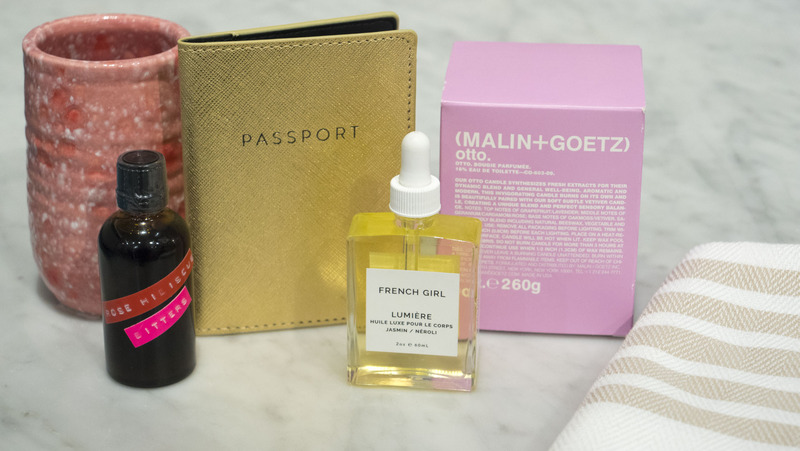 Everything is all nature – no artificial fragrances, parabens, petrol, phthalates, and preservatives. 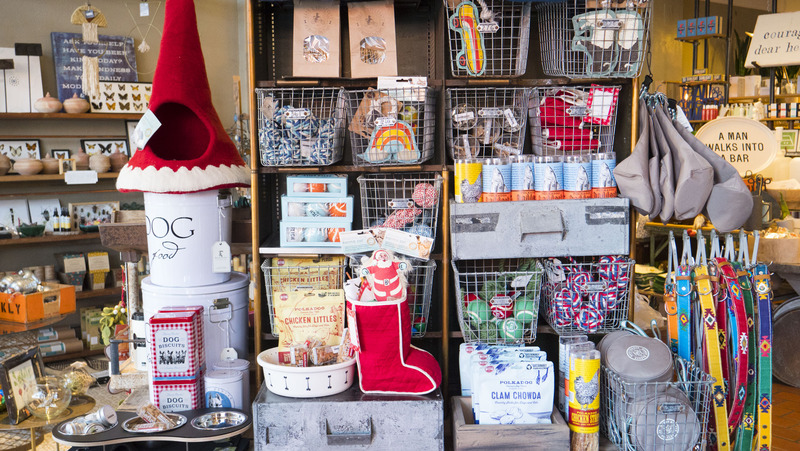 Tin Lizzies is retail boutique that offers a mix of home goods and gifts in both new and vintage stylings. 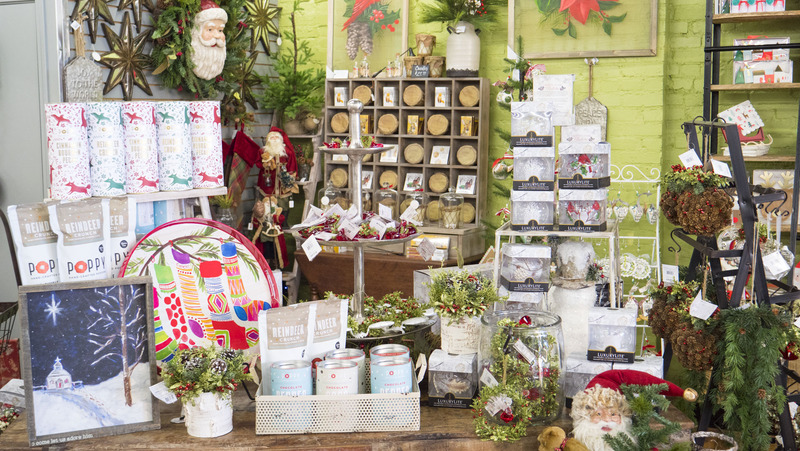 Small Business Saturday: Stop by Tin Lizzies on Saturday for special deals. The goal of Urbane is to provide what you need to create a considered lifestyle for your home with a mix of home furnishings, decor, barware, serveware, and more. 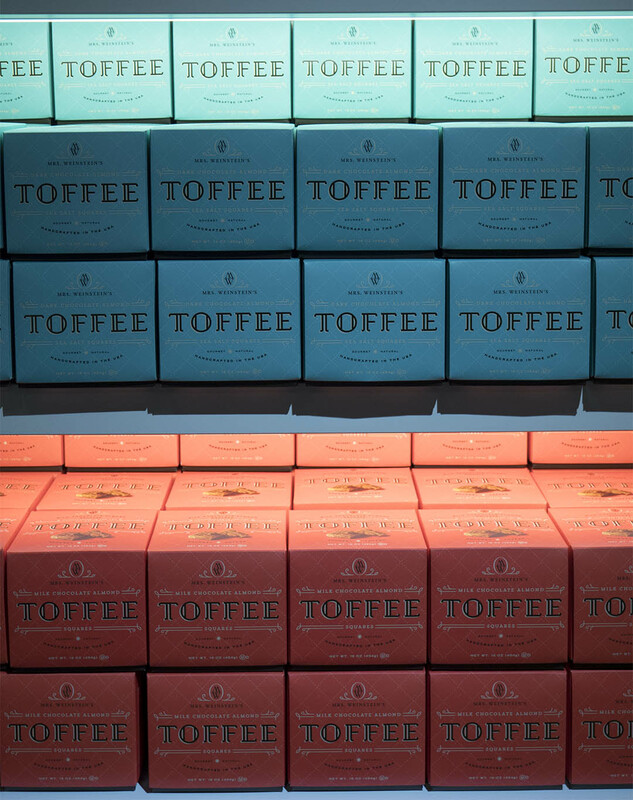 When I came in to and asked for a gift recommendation, I was pointed to the toffee. If you need a coffee boost, Coffee Slingers is next door. Down from Bluewater Divers is the local winemaker, Waters Edge Winery. 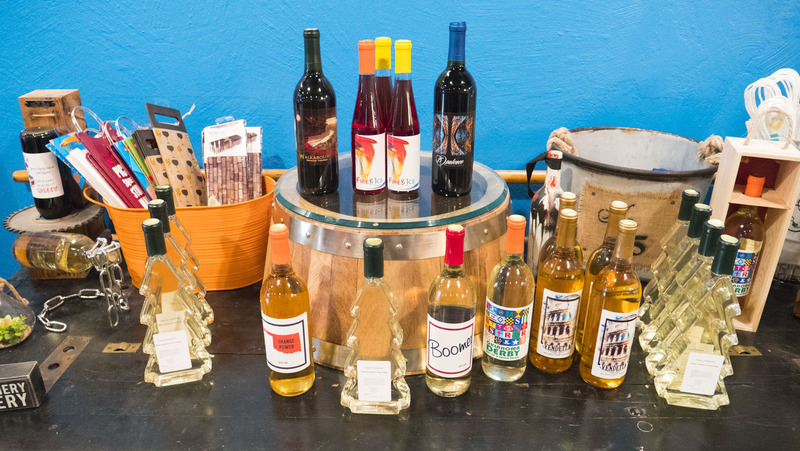 Not only can you buy wine, but they do custom label design and offer classes to make your own wine. I would like to note that each private vintage makes approximately 25-27 bottles and takes 5 to 7 seven weeks to complete so you may not want to go that route for the holidays. However, you can do a custom label, which has a turnaround time of 72 hours. This is only a sample offering of what can be found in Automobile Alley. 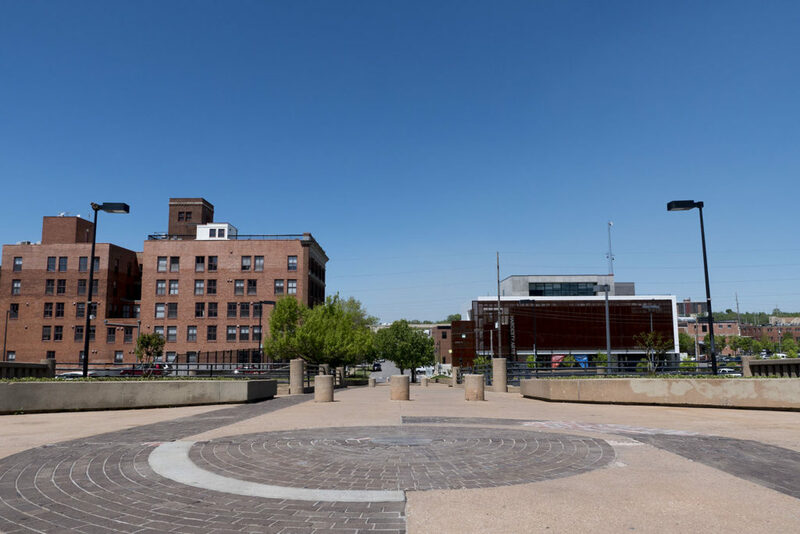 Learn more about the district at automobilealley.org. Be sure to check back on this article this weekend for any updates on the deals as there may be additions/changes.